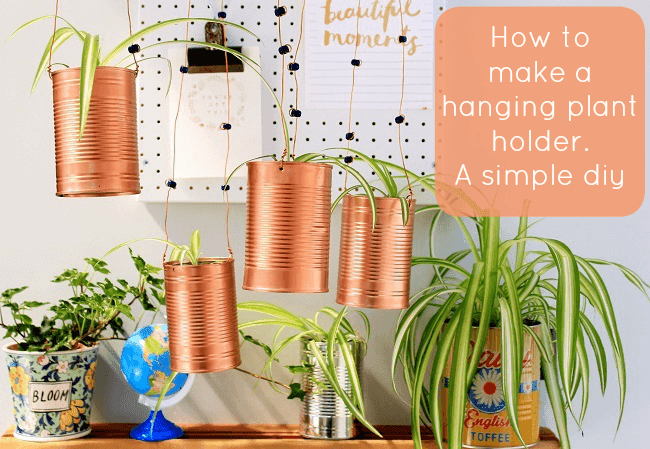 Update A Tin Can diy Mobile Plant Hanger. 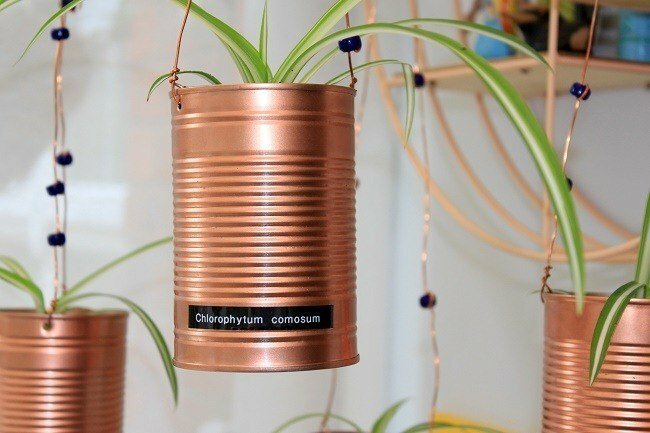 Yes thats right a copper tin can, plant hanger made from bits of rubbish. Read on to find out how! I have been saving tin cans and planting up all the baby plants in them, some have crochet covers too. Space was becoming a problem and I noticed the hanging plants were doing very well. So…..this happened. This DIY is all made using recycled or old bits and bobs! Did you know you can turn old baked bean cans into something beautiful and useful? Copper is still on trend but gold is fast I am going to make another of these in Gold! overtaking it. Four old baked bean tin cans. We hung ours from an old perspex mobile flat shape we made years ago, you could use an old tin lid or tray or even some wire coat hangers? 3. Measure the hanging length required, and use wire cutters to cut the wire to this length. 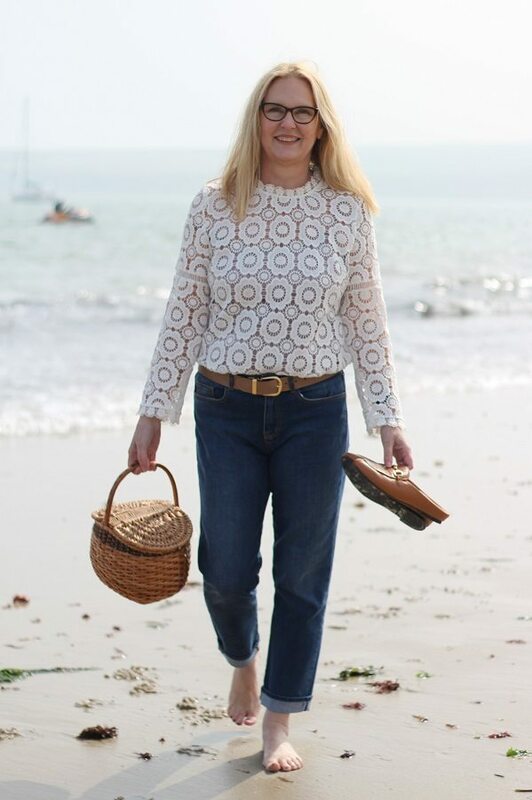 Thread the beads on with a twist to keep them in place, then thread the ends of the wire through the holes in the tin cans, twist the ends using pliers to fasten. 4. Drill holes in the top of your mobile holder. You could drill holes in an old tin lid or do the same with an old smallish tray? Top Tip.Vary the length of your hanging wires, so the cans hang at different heights? Try it out before you plant it up? 5. Plant up your baby plants with a good quality compost. All done, what are you planning to plant in yours? You could even label your cans with the plant’s latin name? 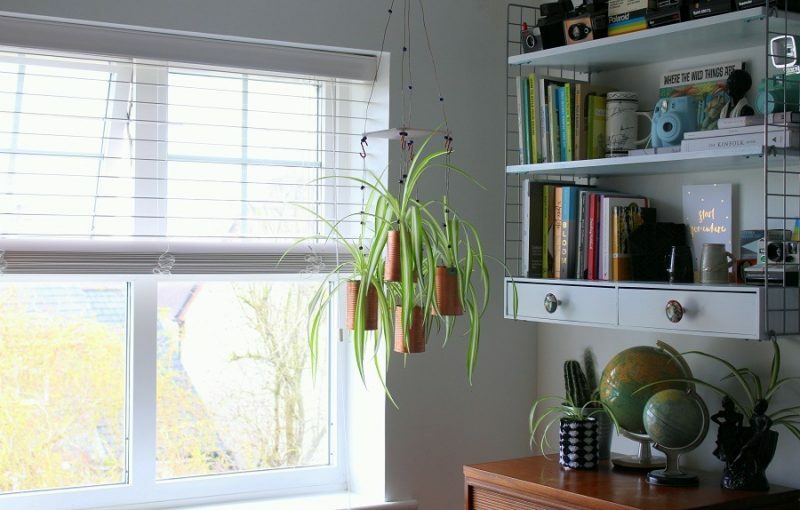 I hope I have made this hanging plant hanger diy look as easy as it really is? ha ha I know that feeling well! Marc does it all for me as he has a horror of drips and is a perfectionist! he has big spray guns too! I spray paint a lot! I have never thought of this Copper colour before though. The other half is rolling eyes as I make suggestions!